Shout-out to everyone who manages to get their nails done every week. I can never find the time. Although I always have a nail file to hand, these days I rarely have them painted. I'm quite a good DIY manicurist, but like many people who don't have dishwashers/cleaners (yeah, I wish), my mani immediately begins to chip the moment I start washing up. And yes, I do use a topcoat. What I need is a gel mani kit that I can use anytime, anywhere. Say, one that I can use at my desk without annoying my colleagues (I'd only use it during my lunch break, of course). Turns out, there is such a thing, and I've just tried it. Want to know my conclusions as to whether it's any good? Keep scrolling for my review of the desk gel mani kit you need to know about. Okay, so first things first. It looks super cute—the UV light part looks like a little macaron. You also get a USB link to hook up to your computer (hence why it's so good for your desk), an orange stick, nail polish remover pads, and gel polish. I tried the one in green, but you can get it in pink, red, peach, brown, and dark blue, so you'll find one you love. In the instructions, after pushing back the cuticles and using the nail file, it says to apply one thin layer of nail varnish and then hold your nail under the light for 30 seconds. You then just have to repeat the nail varnish and light step again and, erm, then you're done. Wait, that's it? Upon reading the instructions, I was convinced it wasn't going to work and I'd end up with nail varnish streaked across my keyboard. But thankfully, that wasn't the case. The polish really does dry that quickly, it looks good and it took one minute. So yeah, this is my new favourite way to do my nails. Next up! 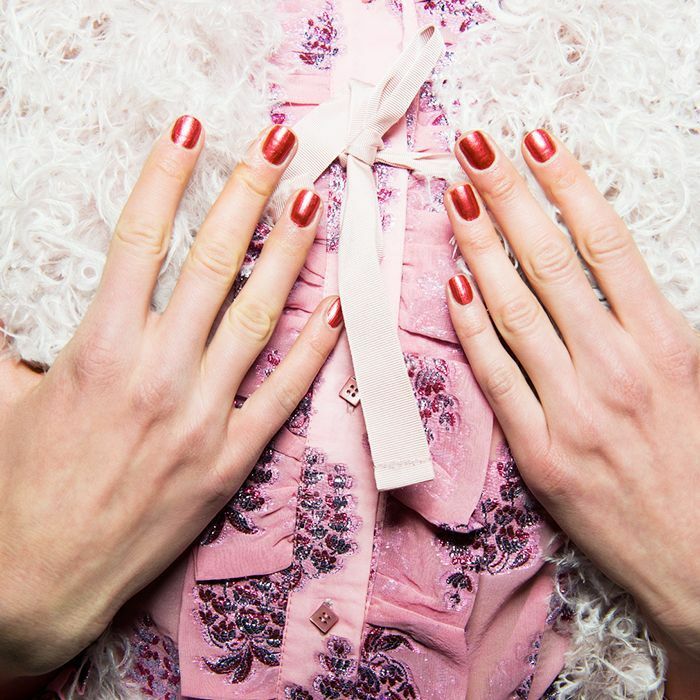 The biggest autumn nail trends you'll love.